Micro Office Solutions, a managed office space company that provides co-working and incubator workspaces to startups and small businesses, launched its fifth location, subleasing the entire 12th floor at 1601 Broadway in Times Square. When launched in early February, the office suite will provide work spaces and business services to both technology and traditional startups and small businesses. The Hatchery, a business incubator that specializes in producing collaborations between tech companies and investors, will provide members at Micro Office-Times Square with workshops, seminars and special events to enhance member experience and collaboration. 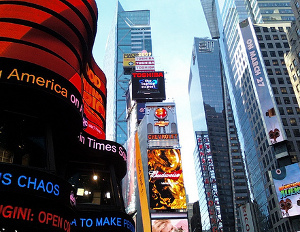 The Hatchery will also lease space at the office suite in Times Square.